I wanted to highlight some of my favorite insights and developments this year in the world of oil and gas, drinking water protection and climate change. I did not include the more well known high points, notably, EPA’s Carbon Pollution Plan, the Popes historic visit to the US and the recent COP 21 Paris agreement. Instead these potentially lesser-known but still wildly important stories will tee up Clean Water Actions’ work in 2016 along with helping to shape the conversation in the broader movement. In January 2015, Clean Water Action released a report outlining a little know provision in the Safe Drinking Water Act that provides an exemption for the oil and gas industry. The program effectively writes off drinking water resources in favor of oil and gas wastewater disposal and expanded production. In order to raise awareness in the drinking water professionals’ community on this issue we published a journal article in the American Water Works Association. The editor warned that the article “would snap your head around” for readers not familiar with how the oil and gas industry is exploiting this out of date aspect of the Safe Drinking Water Act. At the same time, California’s oversight over this part of the Safe Drinking Water Act began to collapse. Andrew Grinberg explained the almost daily revelations of regulatory failure and illegal injection in the state’s Underground Injection Control Program. NRDC’s Briana Mordick explained the meltdown even further in her blog. 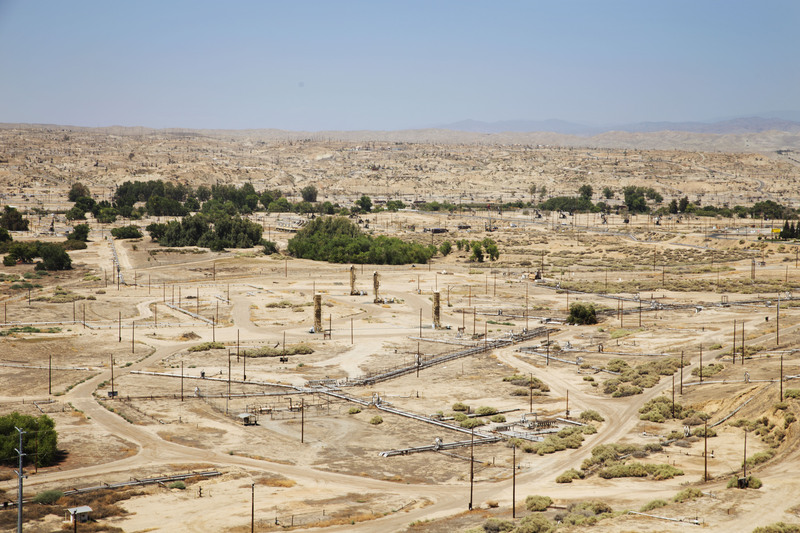 My colleague Rosanna Esparza reports from ground zero of oil production in California. The environmental injustices playing out in Kern County are an everyday occurrence that she helps bring to light in this op-ed. The industry is eyeing up 2016 as the year of streamlined permits and steamrolling the environmental and public health concerns of marginalized yet not defeated residents of Kern County. Frequently, the argument for expediting expansion of oil and gas development is for jobs the industry is expected to bring. State and local municipalities are sold the idea that making development as easy as possible will provide the economic boom most rural areas need. The industry for its part is supposed to deliver. However, this year a story broke that Pennsylvania, under Governor Tom Corbett, was manipulating and then exaggerating the jobs created by the gas industry. After the new Governor, Tom Wolfe, was elected, the gas industry jobs were revised down drastically from over 200,000 down to 89,314. Pennsylvanians were sold a lie. It would be hard to overstate climate blogger extraordinaire, David Roberts’ contribution to the climate movement. His explainer about the success and strategy around the Keystone XL pipeline after the project was rejected should be required reading for all those questioning the effectiveness of grassroots activism. Oil Change International consistently uses its deep understanding of oil markets to dispel arguments against working on supply side campaigns and the Administration’s rationale for approving new carbon extraction projects. Their “Convenient Lie” succinctly outlines the way to meaningfully move towards a climate safe future is by reducing our dependence on oil, not just foreign oil. 1) We need oil and we will need oil for a long time. While we’re all concerned about climate, we’re still going to need oil and gas in the future and we might as well make as much of it as possible right here at home. 2) U.S. oil production is essentially irrelevant for climate, because “more oil production in one place generally means less oil production elsewhere – that’s how markets and prices work”. Right now, the biggest gas leak in US history is pouring out of an injection well in LA directly into the atmosphere. Check out this aerial footage. Thousands are evacuated, schools are closed and the climate pollution from this gas leak is equivalent to driving 7 million cars. Incredibly, officials say that plugging the leak is still months away. We have met the enemy and he is us. Everything Senator Ted Cruz said about climate change in this NPR interview was wrong.